New York.- Greek American Community of the New York Metropolitan area is going to march on Sunday April 2, 2005, on the Fifth Avenue, in celebration of the 185th Anniversary of Greece’s Independence. The parade is Sponsored by Federation of Hellenic Societies of Greater New York and is expected to draw large crowds. Large years attendance exceeded 60,000 people, including members of Congress, as well as politicians from Greece. Greek Government will be represented by the Minister of Macedonia and Thrace, George Kalatzis and Vice Minister of the Interior Athanasios Nakos. This year’s Grand Marshal will be New York City Mayor Michael Bloomberg, joined by World Sae’s President Andrew A. Athens, Marathon Bank’s President Paul Stathoulopoulos and IOCC’s founder John Rangos, a philanthropist. The parade is dedicated to the Greek Immigrants of the United States and the success of following generations. 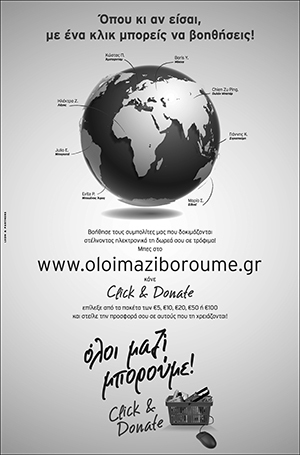 Archbishop Iakovos’s me memory is also honored. Iakovos passed away on April 10, 2005, just a couple of hours after the conclusion of the parade. Louis Mandylor is best known for his role as Nicolas “Nick” Portokalos in My Big Fat Greek Wedding that garnered an Academy Award nomination for Best Original Screenplay for Nia Vardalos in 2002. He was recently seen in The Game of Their Lives directed by David Anspaugh. The parade begins at 59th Street and Fifth Avenue with over 40 floats and bands, thousands of people from various community groups, churches, schools representing Greeks from New York City and the tri-state area. This year commemorates the 185th anniversary of the Greek nation’s declaration of independence from the Ottoman Empire. It promises to be the largest display of Hellenic heritage celebrations in years. 5:30-7:30 pm. Celebration of Greek Heritage and Culture hosted by William C. Thompson. Jr., Comptroller of the City of New York, Christine Quinn, Speaker of the New York City Council, Peter F. Vallone, Jr., Council Member and the Greek American Women’s Network (GAWN), at the Council Chamber City Hall. Distinguished Honorees of the Event will be Maestro Dino Anagnost, Philip Christopher, Yvette Manessis Corporon, Steven Gounardes and Haeda Mihaltses. 5:30-7:00 pm at Grace mansion the Honorable Mayor Bloomberg salutes the Greek Independence Day. **** 8:00 pm.- 185th Anniversary of Greek Independence Concert “The Spirit of Liberty” at the Long Island City High School. The Concert is dedicated to His Eminence Archbishop Demetrios of America. 12:30 pm.-Ceremony at Bowling Green Park on Broadway and Whitehall Street, New York, NY 10004 (in front of 26 Broadway). The raising of Greek and American flags with Evzones’ participation. Various schools participate. Reception to follow at the Custom House Museum. **** 7:00pm-12 midnight: -Cultural Night- Special presentation of the Evzones at the Crystal Palace (31-11 Broadway, Astoria, NY). Live music and dinner, as well as award presentations. 7:30 pm.- Greek Independence Awards Gala. This Black tie event honors the Grand Marshals and other honorees of the Greek Independence Day Parade. Taking place at the Hilton on 1335 Avenue of the Americas in Manhattan, NY hors d’ oeuvres and a sit-down dinner will be served along with plenty of live performances, dancing and award presentations. 10:30 am. – Divine Liturgy and Doxology at the Cathedral. At the beautiful Holy Trinity Greek Orthodox Church located on 319 East 74th (b/w 1st &2nd Avenue), New York, NY. His Eminence Archbishop Demetrios will officiate in the Divine Liturgy. 8:00 pm.-Cultural Celebration at the Stathakio Center on 22-51 29th Street in Astoria, NY. 5:00pm. – Greek Cultural Celebration at the Grand Prospect Hall in Brooklyn, NY. 8:00pm. – Drawing of the Raffles at the Stathakio Center, (22-51 29th Street).